Seventy-five municipalities across Ontario are calling on the provincial government to give them more say on future wind farm projects. Some eastern Ontario communities have declared themselves “unwilling hosts” to wind farms, only to recently have the province award contracts against their wishes. The City of Ottawa, North Frontenac and at least 73 other municipalities want Ontario’s Independent Electrical System Operator (IESO) to “make formal municipal support a mandatory requirement in Ontario’s next round of procurement for renewable energy projects,” according to the resolution. 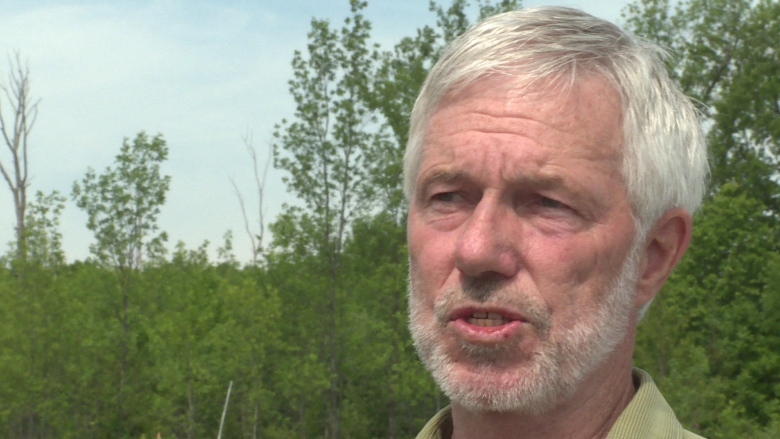 The provincial energy agency claims to let communities express their concerns, but that has little impact on the outcome, according to North Frontenac Mayor Ron Higgins. “We basically don’t have any democratic right when it comes to deciding where these wind turbines go … within our municipality,” he said. Higgins said if given the opportunity North Frontenac would turn down all wind turbine projects, but he said some area municipalities would support them. “We may want them, we may not want them, but if we do want them we’d like to be able to tell you where to put them,” said Higgins. The current procurement process for renewable energy projects is “unfair” and “incredibly frustrating,” according to Rideau-Goulbourn ward Coun. Scott Moffatt. Both Higgins and Moffatt said they’re hopeful Ontario’s new energy minister, Glenn Thibeault, will be open to new discussions. Higgins said he requested meetings with previous minister, Bob Chiarelli, three times, but that all requests were denied. Ottawa: how about WE get to say what happens? The City of Ottawa, Ontario’s second largest city and Canada’s capital, sent a letter to the Minister of Energy requesting a return of local land-use planning powers removed under the Green Energy Act. Ottawa is a city but it also has a large rural area, which makes it a “draw” for wind power developers, Councillor Scott Moffatt wrote in the letter. Moffatt is Chair of the city’s Agricultural and Rural Affairs Committee, and the representative for the rural Rideau-Goulbourn ward in the city. The letter was sent to the former Energy Minister Bob Chiarelli, whose own riding is in Ottawa. In 2013, the City supported a Not A Willing Host declaration by residents faced with a 20-megawatt wind power project that would have been close to hundreds of homes and a school. The Ottawa resolution, passed unanimously at Council in May reads as follows. Ottawa is among 75 municipalities now requesting the IESO and the Ontario government to make municipal support a mandatory requirement for new wind power bids. Ask the Province of Ontario to make the necessary legislative and/or regulatory changes to provide municipalities with a substantive and meaningful role in siting wind power projects and that the “Municipal Support Resolution” becomes a mandatory requirement in the IESO (Independent Electricity System Operator) process. Rideau-Goulbourn councillor Scott Moffatt wants the City to be able to have a say on where future wind turbines are placed. He’s tabling a report at Thursday’s Agriculture and Rural Affairs Committee meeting, recommending Council ask the Province of Ontario to change the law, to give municipalities “a substantive and meaningful role” in deciding where future wind power projects will go. The report further states that early municipal input should not only be a priority for proponents of new wind projects, but it should also be a deciding factor for Ontario’s Independent Electricity System Operator (IESO) when approving a new project. Currently, the Province has sole jurisdiction over where wind farms are located. If the recommendation is approved, full City Council will vote on whether to send their concerns to the Provincial government, the energy minister, the IESO, the Association of Municipalities of Ontario, and all municipalities in Ontario. The Agenda for the ARAC meeting May 5 is here. EDITOR’S NOTE: The community of North Gower presented a petition to Ottawa City Council in 2013 asking for recognition as an “unwilling host” to a proposed wind power project that would have been close to thousands of residents. Council passed a motion unanimously asking the Government of Ontario to return local land-use planning power to municipalities. 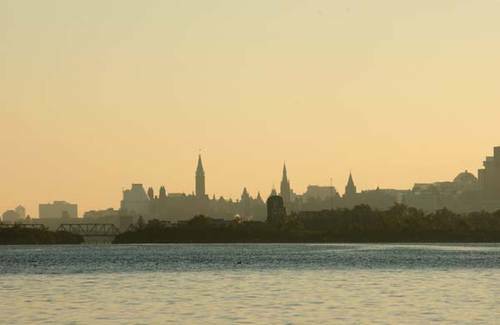 The government gave no response to Ottawa, Ontario’s second largest city. At present, more than 90 communities in Ontario are officially “unwilling hosts” to wind power projects–that represents the majority of Ontario communities vulnerable to the industrial-scale power projects. In an interview with the CBC for a news story on Ottawa’s rural ward 20/Osgoode, sitting councillor Diane Holmes said that she has “no sympathy” for the rural councillors, and that perhaps they should just leave. In fact, Homes said, if there was a vote to let the rural wards go, she would be “first” to vote. The report covered comments by Ottawa’s rural residents to the effect that they felt excluded from City plans and projects, and were not sure they are getting value for their tax dollars. Retiring Osgoode councillor Doug Thompson said that there has been a rural-urban divide, but that the situation was improving. Commenting on Twitter, Ward 21 incumbent councillor Scott Moffatt said Holmes’ remarks were “ignorant.” Candidate for Ward 21 Dan Scharf offered Diane Holmes a tour of Rideau-Goulbourn. In 2009, Holmes voted against a motion by then-councillor for Rideau-Goulbourn Glenn Brooks, who had proposed a motion to Council asking for a moratorium on a proposed wind power project in North Gower, pending health studies on the effects of the noise and infrasound produced by wind turbines. Here from the Manotick Messenger, is an excerpt from Ward 21 Councillor Scott Moffatt‘s account of the North Gower-Richmond Not A Willing Host petition effort and inclusion in a City of Ottawa motion–which passed unanimously at council. Other municipalities have been demanding a return of local land use planning powers–in fact, since before the Green Energy Act–but Ottawa, as the second largest city in the province, is the most populous municipality to do so. 2013 is turning out to be a year where issues under provincial jurisdiction are coming up time and time again.These issues give the City of Ottawa a minimal role in the final approval, whether it is the approval of a landfill expansion on Carp Road, or the proposal of expanding gaming within City limits. One of these issues, renewable energy projects, is not new to our area and stems from the…Green Energy Act, which gives municipalities no role in the approval of solar projects or wind power projects. Nowhere in Ottawa is this issue more prevalent than in North Gower. In 2008, a wind developer came forward with an application for ten industrial wind turbines to be installed between North Gower and Richmond. It is important to note that this project has never been approved and there has not been an opportunity for them to apply since 2010*, but with a new application process being developed and the continuing interest of this wind developer, the potential does still remain. The challenge for municipalities for these applications is that they do not have the ability to weigh in on the topic, conduct a meaningful consultation process or make any substantive recommendations on applications. This has led to over 70 municipalities across Ontario declaring them as Not A Willing Host to a wind power project. Residents of North Gower and the surrounding area recently came together and submitted a petition to the City of Ottawa that included 1,228 names declaring North Gower as Not A Willing Host. … This led to the unanimous approval of a motion I put forward at Council last week that asks the Province of Ontario to make the necessary legislation and/or regulatory changes to provide municipalities with a substantive and meaningful role in siting wind power projects. City Council, in a 24-0 vote, sent a strong message to the Province that we should have a real voice in approving these projects. This is a motion not just for North Gower or Ottawa, but for every municipality in Ontario. From today’s Ottawa Citizen, an account of yesterday’s vote at Council on Councillor Scott Moffatt’s motion, acknowledging the 1200+ signatures on the petition from North Gower, and telling the province the City wants a stronger role indecisions about siting wind power generation projects. “With more than 1,200 signatures, the petition is a strong message that politicians say is worth listening to,” says the Citizen. 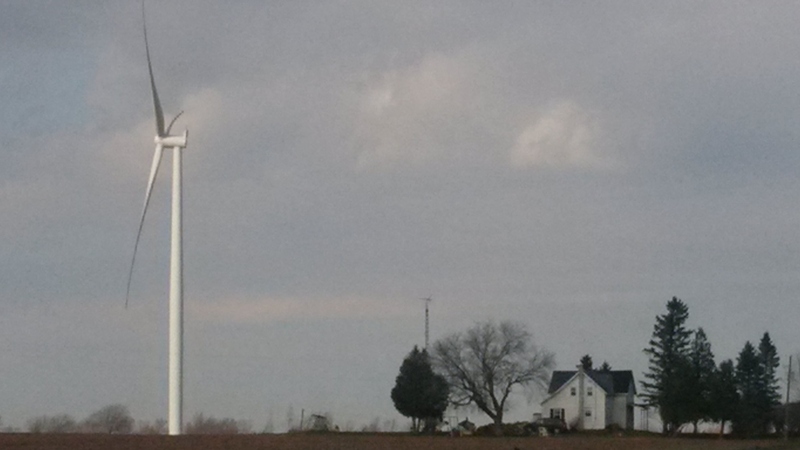 Communities need to be consulted about windmill projects near them, city council says. OTTAWA — City council is urging the Ontario government to give municipalities more say in choosing locations for proposed windmill projects in their communities. Coun. Scott Moffat drafted the motion that council supported on Wednesday asking for legislative changes that would guarantee local residents have more influence about projects pegged for their neighbourhoods. The province has already promised to add stringent public consultation requirements to its Feed-in Tariff program, which encourages the development of renewable energy with government funding. Anyone looking to build a project would have to have “significant municipal engagement,” when responding to request for proposals (RFPs), said provincial Energy Minster Bob Chiarelli, just a couple hours before the council meeting. “The bottom line is it will be very difficult for an energy proponent to be successful in the type of RFP that’s being created without a significant municipal engagement,” he said. His government has faced public opposition from around Ontario for such projects. More than 70 communities have joined a coalition of “unwilling hosts” for wind projects, declaring they do not want such developments. The Ottawa motion does not put the city in this same group, but instead asks the government to ensure residents have a say in choosing the location for such projects. 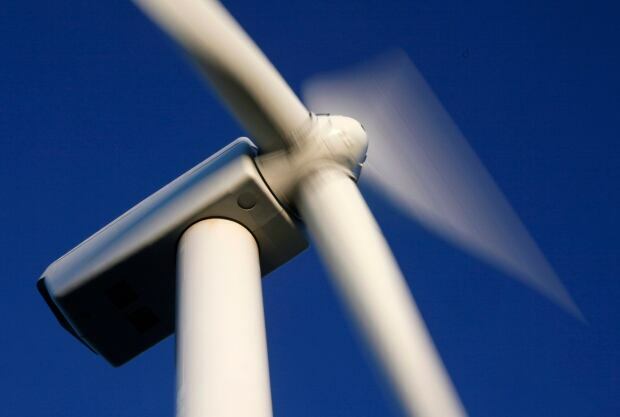 Moffat introduced his motion at council a day after receiving a petition from residents of North Gower, a community in his Rideau-Goulbourn ward, who oppose the large-scale wind-power project. With more than 1,200 signatures, the petition is a strong message that politicians say is worth listening to. Chiarelli said the substance of Moffat’s resolution reflects what the province has been doing over the past few months. Earlier this year the Ontario government removed larger projects from the Feed-in Tariff program and added the RFP process, but details about exactly is required for public consultation have yet to be identified. Coun. David Chernushenko, a strong wind-energy proponent, supported Moffat’s motion. Chiarelli also confirmed communities will not be able to outright reject projects.